Motherwell forward Jake Hastie has earned a Scotland Under-21 call-up with his impressive recent form at Fir Park. Hastie, 19, has scored four goals in his last five matches after returning from a loan stint at Alloa Athletic. Club-mates David Turnbull and Allan Campbell are also included for the friendly fixtures against Mexico and Sweden later this month. Everton striker Fraser Hornby and Rangers defender Ross McCrorie are among nine who retain their places. The matches are the first of 2019 for Scot Gemmill's side, whose last outing was a 2-0 loss to their English counterparts in October. Goalkeepers: Ross Doohan (Ayr United, on loan from Celtic), Robby McCrorie (Greenock Morton, on loan from Rangers) . Defenders: Jamie Brandon (Heart of Midlothian), Daniel Harvie (Ayr United), George Johnston (Liverpool), Sean Mackie (Hibernian), Barry Maguire (Queen of the South, on loan from Motherwell), Ross McCrorie (Rangers), Patrick Reading (Middlesbrough), Iain Wilson (Queen of the South, on loan from Kilmarnock). Midfielders: Allan Campbell (Motherwell), Lewis Ferguson (Aberdeen), Jordan Holsgrove (Reading), Connor McLennan (Aberdeen), Calvin Miller (Ayr United, on loan from Celtic), Callumn Morrison (Heart of Midlothian), David Turnbull (Motherwell). 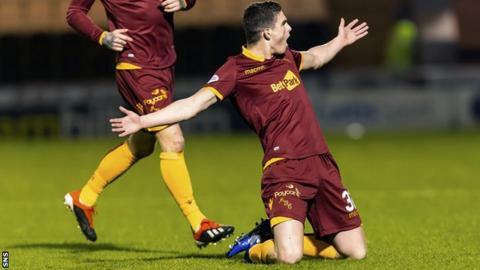 Forwards: Jake Hastie (Motherwell), Fraser Hornby (Everton), Ben House (Swindon Town, on loan from Reading), Michael Johnston (Celtic), Oli Shaw (Hibernian).